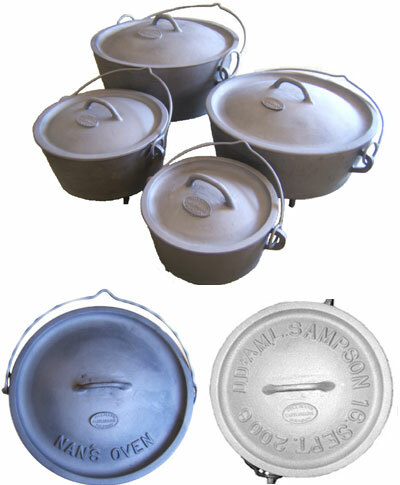 Billmans Foundry have created 4 sizes in their Cast Iron Camp Oven range. Our camp ovens are cast using recycled cast iron, we also use a blacksmith to hand forge the steel handles. Proudly 100% Australian made and owned, Billmans Foundry continues the tradition of producing lasting products. A great gift idea is to personalise the lid, with names dates etc. Billmans has created many personalised lids for weddings, birthdays etc making a gift that will last many years and can be handed down through family.